I started teaching a new class today and boy, was I tired! I took a nap as soon as I got home, and when I woke up at 7-ish, I was famished. I realized I haven’t eaten anything substantial the entire day. Let’s see…I had a can of Nescafe espresso roast (I am addicted to this stuff), 1 bar of Hello wafer, 1 scoop of gelato and water. 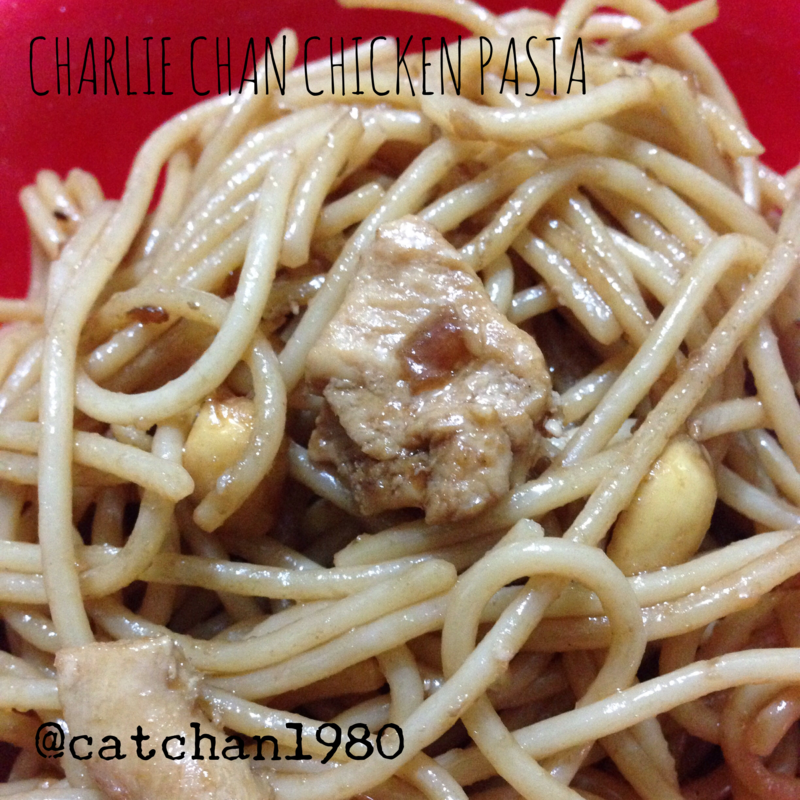 I was craving for pasta and I read somewhere that it was easy to make Charlie Chan Chicken Pasta at home. Here is a simple recipe for Yellow Cab’s beloved pasta dish. In a pan, heat oil and saute garlic and onion. In a bowl, mix together the oyster sauce, chili-garlic sauce, sesame oil, rayu oil and sugar. Pour on chicken and simmer for about 2-3 minutes. For a more authentic taste, add strips of shiitake. Make sure you used ordinary peanuts, not those with adobo flavor etc. Dry roast peanuts for better taste. Japanese rayu oil is a spicy sesame oil that I always have at home to use with instant ramen. It is perfect for this dish because I like it with a little spicy kick. Adjust rayu oil and chili-garlice sauce according to your tolerance.